The new year is a time to look back as well as forward. This impulse is nothing new; the historical record tells us that civilizations going back to the ancient Romans did the same thing. 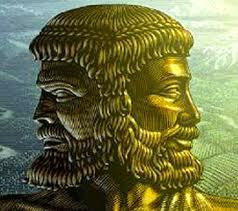 In fact, the Romans had a god named Janus, and his identifying characteristic was that he had two faces, and could see forwards and backwards at the same time. Janus was the god of doorways, of entrances and exits, bridges and transitions. He is the god after whom the month of January is named, and so it seems perfectly fitting that we spend a little time now looking back, assessing where we stand today by remembering those we have lost over the last year. As a way of acknowledging and celebrating some of those public figures whose lives and/or work have affected us (alright, I’m just speaking for myself) in some discernable way, I’ve decided to start a new tradition on the blog, the first ever January awards, which we’ll call the “Jannies” for short. The thing about a Jannie is that it can only be awarded posthumously, to someone who has died during the course of the previous year. This is a remarkably smart decision on my part, as it saves a tremendous amount of money on the costs of buying actual awards, renting a hall, sending invitations, catering, and rounding up sponsors to donate swag. The downside is that the odds of some famous celebrity getting drunk and flirting shamelessly with me in front of my wife are almost nil. There are only two requirements to be eligible for a Jannie. One, you must be dead, which we’ve already covered; and two, you must be known more generally than only to a small, but dedicated, ring of intensely secretive fan websites. For this purpose, I used the website www.ranker.com’s list of celebrity deaths for 2011. You can peruse the list yourself here. Oh, and I forgot the most important qualification of all: I have to have something interesting to say about you. Right. So let’s make that three simple requirements. Everybody comfy? Good. Let’s get started. Ladies and gentlemen, welcome to the first annual January awards ceremony! The Jannies, as they are so affectionately called, are given to those people whose lives have, in some measureable way, touched our own. Many of these people were famous celebrities, but some of those whose contributions we celebrate here were not known by name. Let’s look back, and remember, some of those who passed in 2011. 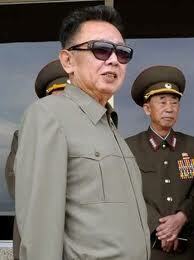 Kim Jong-il. I know millions of people are reportedly mourning his death. I saw the throngs openly weeping during his funeral procession on TV. They’re probably still gnashing their teeth and rending their garments in North Korea, but Good Lord, I can’t give that man a Jannie. 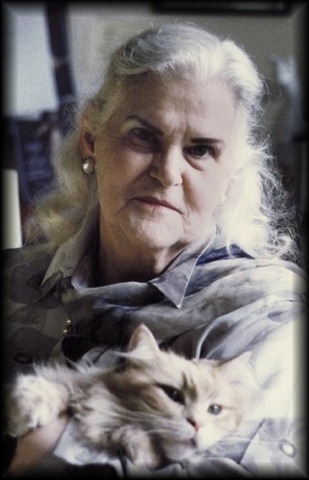 Anne McCaffrey. 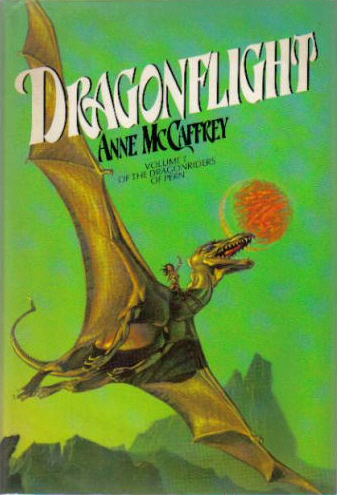 Anne was the author of a wonderful series of science fiction/fantasy books known as the Dragonriders of Pern. This was a really great series, which I absolutely devoured as an adolescent just beginning to branch out into science fiction. 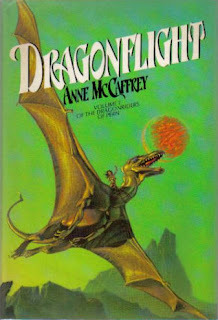 McCaffrey did a superlative job blending science fiction and fantasy, weaving a believable background and context within which to tell her stories, and she created fascinating relationships between the humans and the dragons, who would bond with each other at birth and could communicate with each other telepathically. You can see her influence in many of the dragon-type stories around these days: Eragon, How to Train Your Dragon, Salt… oh, wait, that wasn’t about a dragon, that was Angelina Jolie, wasn’t it? Nevermind. For some reason, however, McCaffrey’s books have never been adapted for the big screen, which I think is a mistake. The advanced state of computer generated graphics would be a perfect match to her soaring epics. Anyway, they were great fun to read, and I actually learned a how to visualize music from some of her books. So long, Ms. McCaffrey; may you ride with dragons, and may your descendants eventually inherit copious film royalties from your work. Note: If you're interested, here's the official website for all things Pern. Bil Keane. 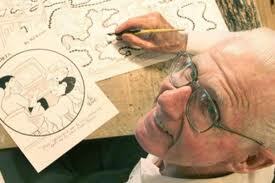 Bil created the Family Circus single-panel comic that runs in just about every newspaper left in America. 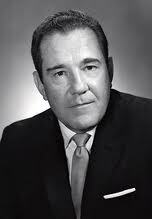 Bil lived and worked in Arizona, and so we have that in common. I was never a huge fan of the strip, and because of that I never sought out an opportunity to enlist his support for my comic strip creation NoMan’s Land. Stupid. Stupid. Stupid. But my parents liked Family Circus a great deal, and he was reportedly good friends with Charles Schulz, who was my oblivious mentor and idol. I was so stupid, I didn’t even try the old make-friends-with-the-friend-and-use-him-to-meet-the-person-you-really-wanted-to-be-friends-with-all-along trick. Ah well, they’re both gone now, and NoMan’s Land might as well be a lifetime ago. So long, and on behalf of my parents, thanks for the chuckles, Mr. Keane. 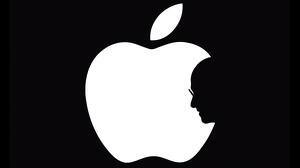 Steve Jobs. 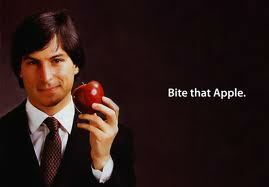 Steve created Apple. I don’t like Apple. Apple prides itself on being intuitive and elegant; I think that’s a load of beautifully designed crap, intended to fleece the pants off of people who see themselves as intuitive and elegant. I’ll be the first to admit that I don’t own an Apple product, mostly on principal; PCs and Microsoft have served me well over the years (sorry, Gates-haters, but it’s true). On the other hand, I’ll freely admit that I harbor some intensely covetous thoughts whenever I see an iPad. See? Conflicted. But, at her insistence, I did get an iTouch for Elizabeth a few years ago, and my experiences with it since then have exposed my lust for an iPad as being based in fantasy, not reality. How intuitive is a tool that is supposed to play music, but you can’t easily figure out how to make it stop skipping songs whenever you move? That probably sounds pretty silly, but having an electronic device that jumps to a new song whenever you shake it seems silly to me. Downright effete, actually. What, pushing a button requires too much effort? And let’s not even start on transferring MP3’s to iTunes, or trying to update iTunes on a PC. Apple, don’t think I don’t know that you’re intentionally making my life difficult because I don’t drink your Jim Jones’ Kool-Aid. However, Steve is also the man responsible for being Pixar’s angel, and shepherding their progress to the pinnacle of movie-making, computer-animated or otherwise. TBF’s of the blog know how much I love and respect what Pixar has done. What to do? Deeply conflicted. What pushed Mr. Jobs over the top for me was an amazing thing he once said in a Stanford commencement address. I love this quote so much I keep trying to find ways to incorporate it into the posts I write, unsuccessfully. Until now. Don’t let the noise of other’s opinions drown out your own inner voice. And most important, have the courage to follow your heart and intuition. They somehow know what you truly want to become. Everything else is secondary. Wow. How can I not love a guy who clearly states the very animating principle by which I am now trying to craft a life? Imagine how different the world would be if we all lived by this advice. There’d be a lot less McDonald’s around, that’s for sure. The streets would be a lot dirtier, and the mail would be a lot slower, and it would probably be pretty tough to find a cab when you need one. On second thought, what does that $@*%!# know? Arch West. 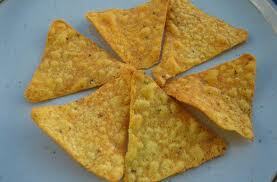 Arch created that most triangular of snack foods when he invented Doritos. Of course, tortilla chips had been around for a long time, but West’s genius lay in powdering them with artificial flavorings. I have always been, and remain, a big fan of your work, Mr. West. 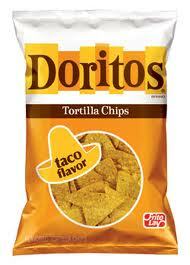 As a kid, my favorite was the Taco flavored Doritos. They’re hard to find these days, which is probably a good thing, but good ol’ Nacho Cheese does me just fine. Even all these years later, there really isn’t anything to rival Doritos; potato chips, cheese puffs, even pretzels all have national competitors, but Doritos stands alone in the snack aisle. Mr. West, for those about to crunch, we salute you. Osama bin Laden. Everyone who now looks up in the sky and sees missiles instead of commercial jetliners, or who still has nightmares about falling buildings owes Mr. bin Laden. A Midwesterner by birth, I was raised to believe that the eleventh commandment is: if you can’t say something nice about someone, don’t say anything at all. The only nice thing I can think of to say about Mr. bin Laden is how nice it is that he’s no longer with us. I suppose it’s somewhat comforting to know that when they got him, he was eating a bowl of cold cereal, kicking back on the sofa, and watching “Pakastani Idol” in his underrobes. You know, just going about his everyday routine. Pretty much what 3,000 Americans were doing in NYC on the morning of September 11th as well as millions more across the country. It’s taken ten years, but at last we can say that he’s not merely dead, he’s “morally, ethic’lly, spiritually, physically, positively, absolutely, undeniably, reliably and most sincerely dead.” Ding Dong, indeed! Well, I don’t want to waste any more time on him. He’s the devil’s problem now. And those are just his films I’ve seen. Imagine being at a cocktail party, and having the ability to casually mention your working relationship to the following folks: Paul Newman, James Mason, Richard Burton, Al Pacino, Sophia Loren, Katharine Hepburn, Omar Shariff, Walter Matthau, Rod Steiger, Candice Bergen, Jason Robards, Sean Connery, Susan Sarandon, Albert Finney, Lauren Bacall, Ingrid Bergman (Ingrid effing Bergman!!! ), Faye Dunaway, Robert Duvall, Michael Caine, Christopher Reeves, Anne Bancroft, Timothy Hutton, Richard Gere, Gene Hackman, Jeff Bridges, Dustin Hoffman, Matthew Broderick, Armand Assante, Melanie Griffith, Richard Dreyfuss, Helen Mirren, George C. Scott, Alan Arkin, Glenn Close, Maggie Gyllenhaal, and Phillip Seymour Hoffman. We’re talking name-dropping on a level that trumps the chumps. Is there another director that can say they directed Henry Fonda as well as Michael Jackson, or Marlon Brando as well as Vin Diesel? Didn’t think so. When I taught sophomore English, we would read the play 12 Angry Men, and then I’d show his movie to the kids. As a result, I’ve probably seen it four times in the last three years. It can’t be easy to make a compelling movie about 12 guys locked up in a room arguing with each other for almost the entire film, but Sidney Lumet sure made it look that way. 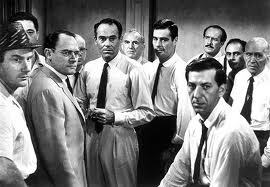 When I reflect on 12 Angry Men, as well as some of his other movies like Serpico, Dog Day Afternoon, Network, and The Verdict, they seem to have something in common: a desire to explore morally ambiguous situations where our preconceptions of right and wrong are kind of turned upside down, or maybe inside out. I respect a man who’s willing to ask tough questions, but I admire a man who doesn’t flinch in the face of the answer, however ugly it is. Elizabeth Taylor. I’ll be honest. 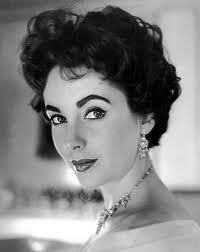 I never understood the appeal of Elizabeth Taylor. Of course, by the time I was old enough to be interested in women, Elizabeth Taylor’s passport had already been stamped as a citizen of senior. Still, the awe and admiration with which people talked about her beauty and romantic life made me think I was the crazy one. 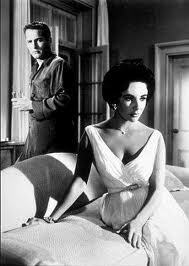 That is, until I saw the film version of Cat on a Hot Tin Roof in which she starred with Paul Newman. Oh my goodness. That was a revelation. Elizabeth Taylor, leaning against the bedroom door in that white dress. I’ll bet when that movie came out, there were a lot of guys on dates who were thankful they were sitting down, and that the theater was very dark. And it wasn’t just her looks that sucked me in, or even the way she moved in that dress, although that was a close second, but it was her flawless performance as Maggie the Cat that had me up late, working feverishly on sudden plans to build a time machine. I’m not smart enough to sort out if it was Taylor’s immense acting talent or her own personality that shines so clearly in that role, but I was smitten. Hard. Still am. What man doesn’t want a woman to love him the way Maggie loves Brick in that movie? Thanks for Maggie, Ms. Taylor. And Maggie? You can come stand on my tin roof anytime. I’ll make it exactly as hot as you want it. 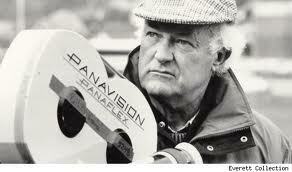 Peter Yates. 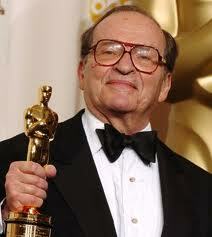 Yates was also a film director, originally born in England. He’s probably best remembered as the director of Bullitt with Steve McQueen, but for me, there’s only one reason why he’s on the receiving end of a Jannie. 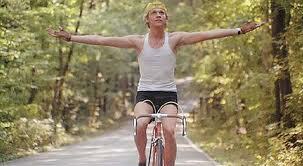 In 1979, a little kid in Milwaukee, Wisconsin, saw the movie Breaking Away, and it changed his life. He became a huge fan of bicycling, worked three jobs to buy his first real bike, a Huffy Santa Fe 10-speed, and rode his legs off, training endlessly for the coming of the Italianos, who mysteriously never came. But he rode anyway, pedaling, pedaling, pedaling, until one day . . . he got his driver’s license. That kid’s name was Lance Armstrong. No, I’m kidding, of course. That kid was me. Breaking Away is a movie that deserves its own post, and someday I’ll circle back to try and do it the justice it deserves. For now, suffice it to say that in this film, Peter Yates crafted one of the great, funny, quirky, heartwarming movies about growing up yet made. It’s a movie about bicycling, and small towns, and intense friendships, but ultimately it’s a movie about getting started in life, once you have the opportunity to start deciding what happens next. And in this movie, that’s just as scary as it sounds. This is one of those rare films that is heartbreakingly and comically true from its first frame to its last. For my money, it is Peter Yates’ masterpiece. It’s a small, quiet film, and although loaded with talent and a few future stars (Dennis Quaid as a teenager? Ladies, check out those abs! ), it seems to have gotten trampled by its louder, coarser, more obnoxious coming-of-age neighbors. It has been neglected by time, but not deservedly so. If you want to remember the feeling of being caged for so long that when the trap door finally opens you were just a little afraid to come out of the box, see Breaking Away. Unlike one of Ray Stoller’s used cars, you won’t request a refund. And that about wraps it up for the first annual Jannie awards. Have a safe and happy 2012, and thanks for reading. Regarding your Bill Keane post: Did you know your best friend's mom was close friends with Bill Keane? I personally had met him a few times - most memorable was when he and my mom judged a pie eating contest. He was a very nice man and remembered my name every time he saw me. 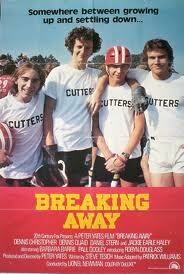 Regarding your Breaking Away post: I too loved this movie and what a great cast. Including the actor forever known as "The tough kid, Kelly, from the Bad News Bears movie!" Hutton: How is it that we've been friends this long and I never knew that? I could have pulled the old use-the-friend-to-get-to-the-friend-of-the-friend bit. Thanks for adding the comments about Mr. Keane. It's good to have independent confirmation of his genuine niceness. You know, I would love to judge a pie-eating contest. I think one of the problems with the world today is that there aren't enough pie-eating contests! With regards to Sidney Lumet, when you look at his body of work, The Wiz definitely stands as a stark contrast to just about everything else he did. I wonder what motivated him to take that job? The chance to work with Michael Jackson (pre-Thriller)? Diana Ross? Richard Pryor? My money's on Nipsey Russell. And lastly, not only was he tough Kelly Leake, but then Rorschach in Watchmen and Freddy Krueger in the latest Nightmare on Elm Street. Puts a whole dark spin on Moocher's persona. You'll never catch me saying "Don't forget to punch the clock, shorty" to Jackie Earle Haley!